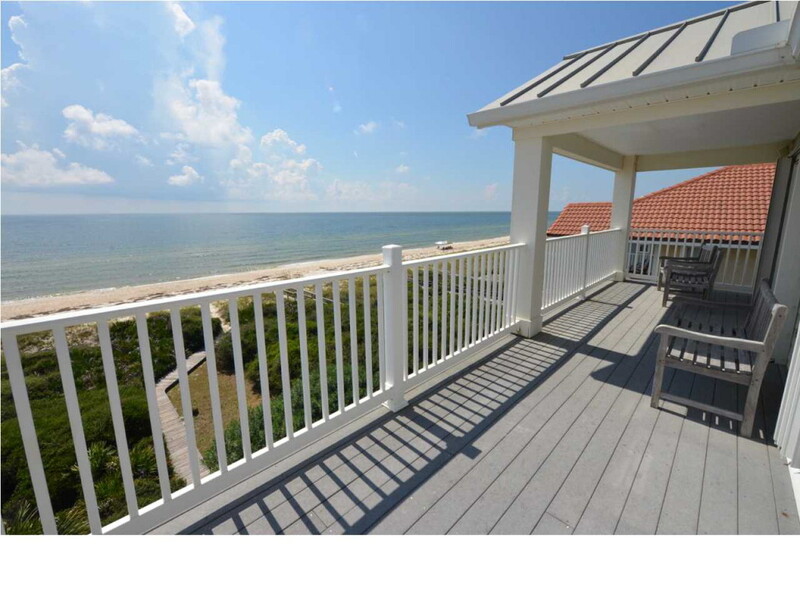 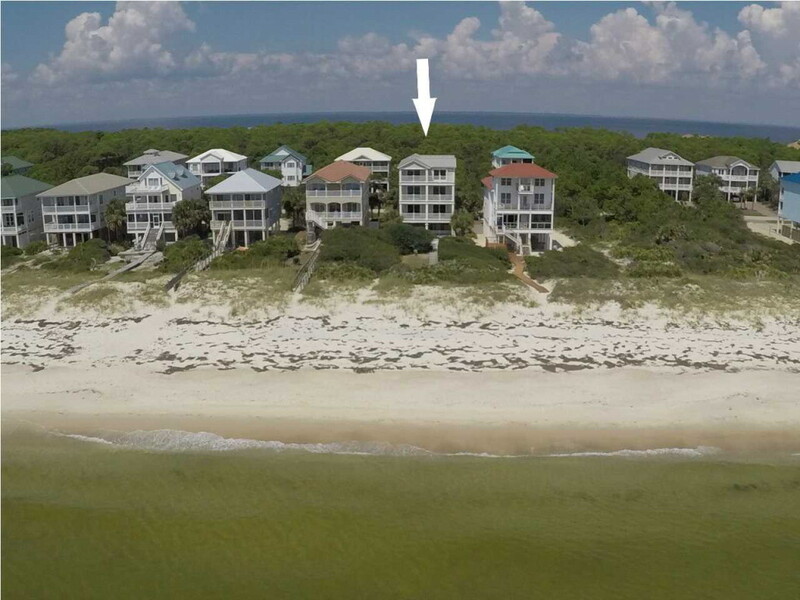 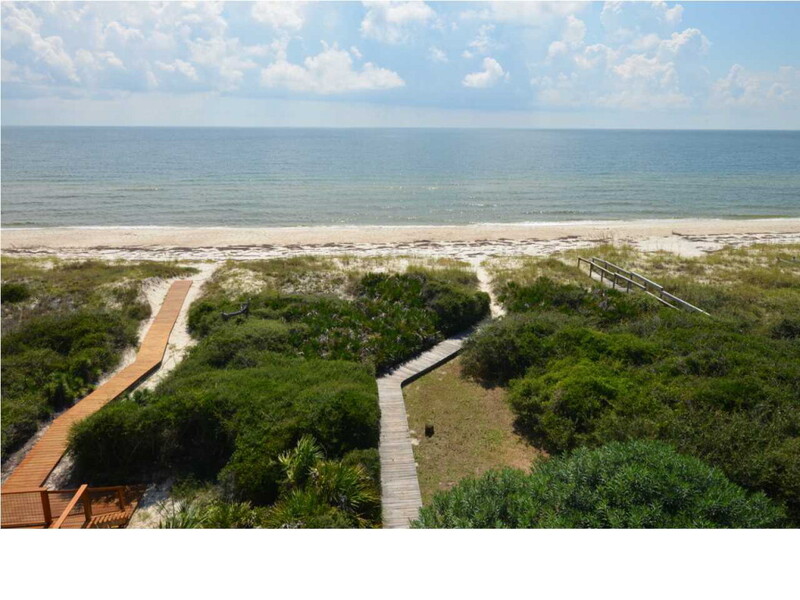 Enjoy sharing Fishtales, while relaxing in this custom built, St. George Island, gulf front home featuring 6 bedrooms and 6 baths. 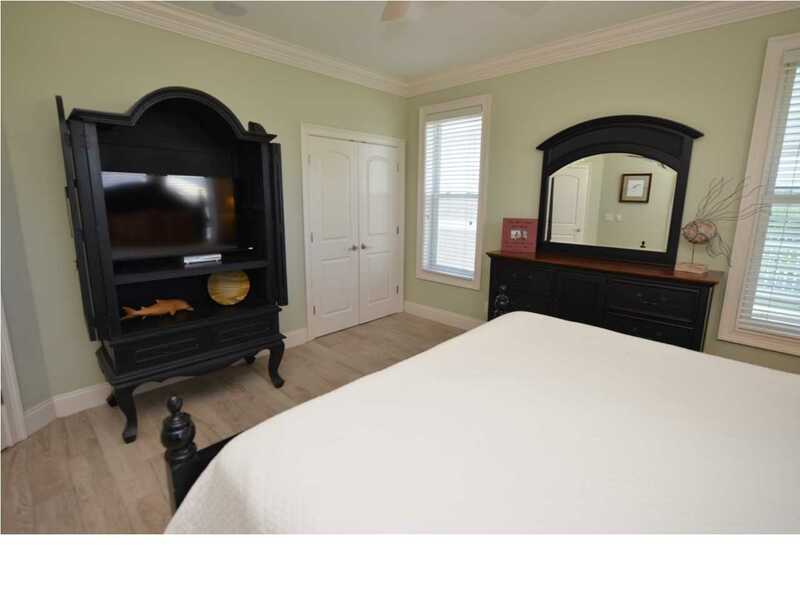 The home is situated on a beautifully landscaped 1/2 acre homesite, within the gated Plantation community. 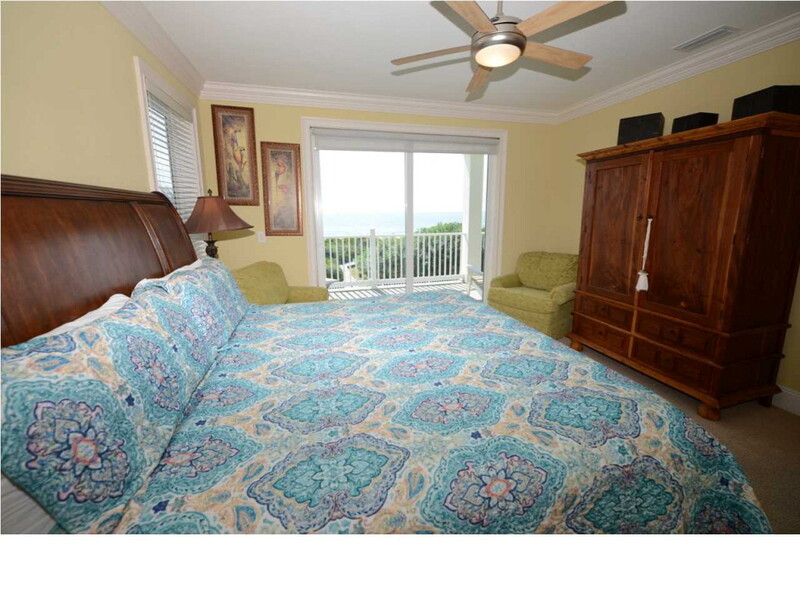 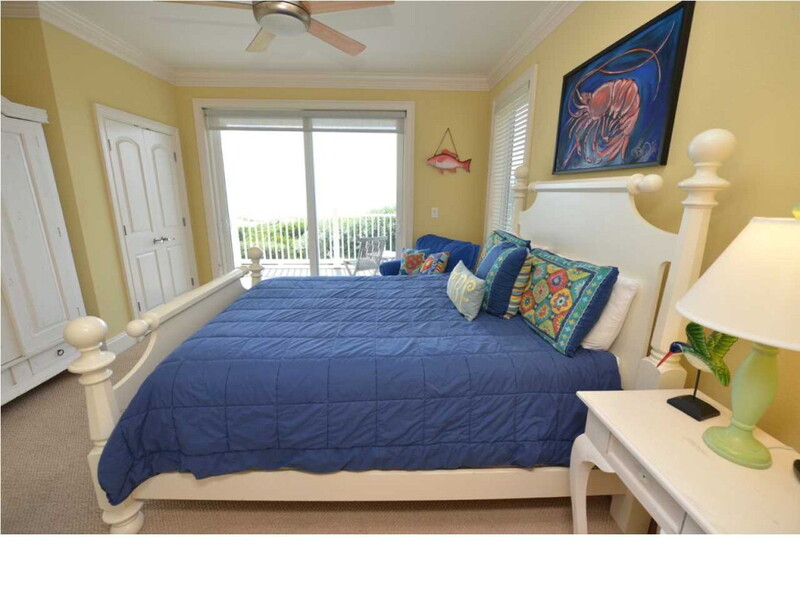 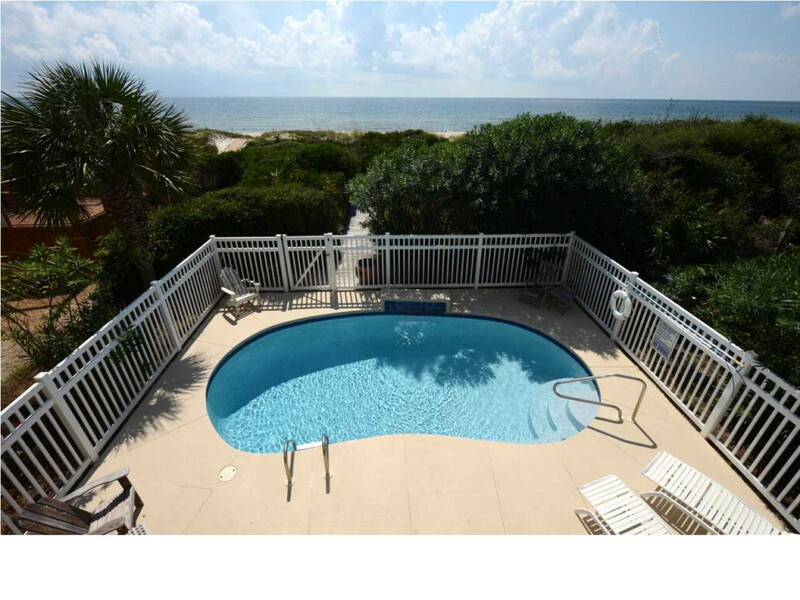 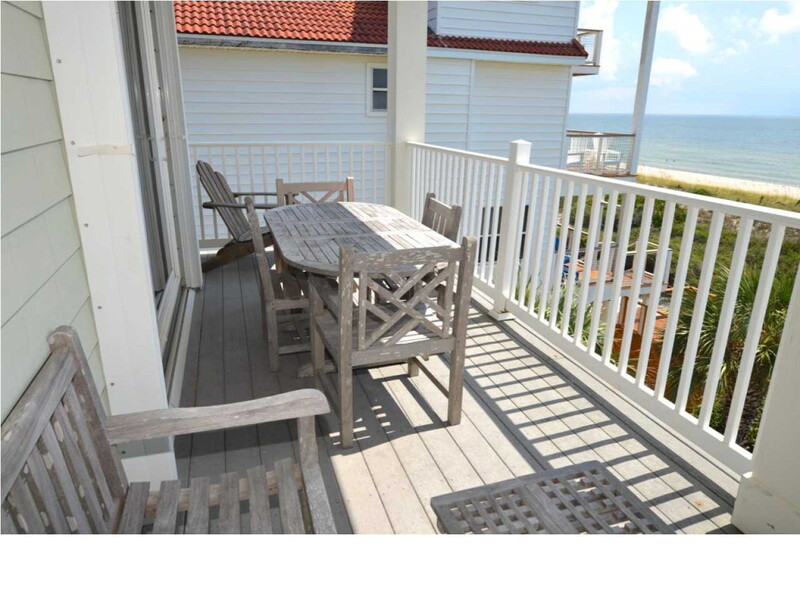 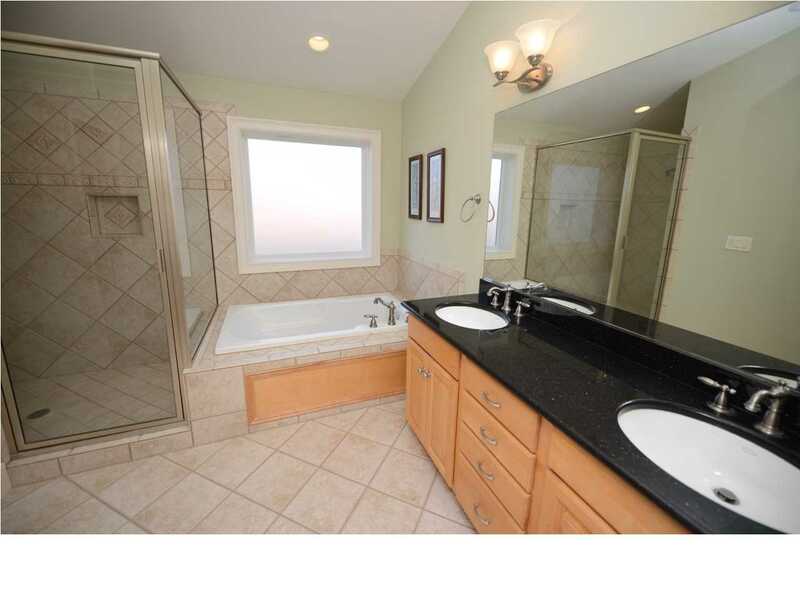 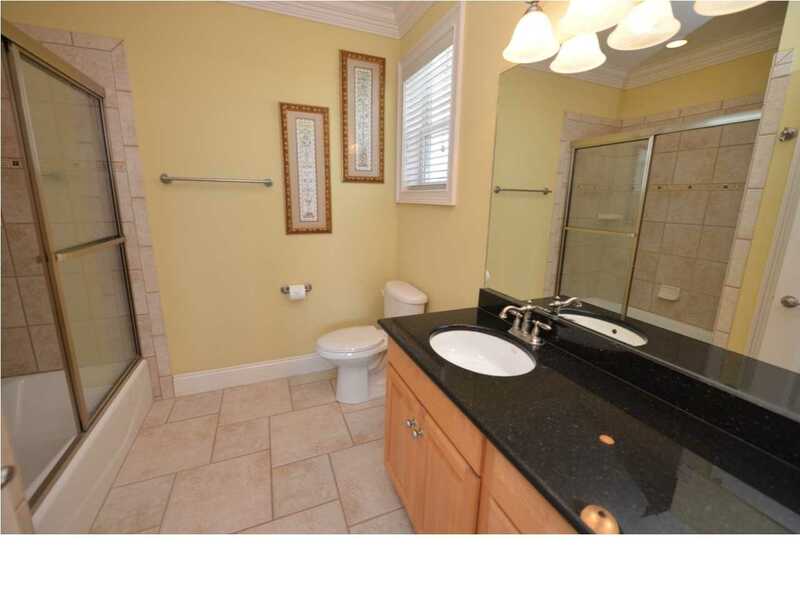 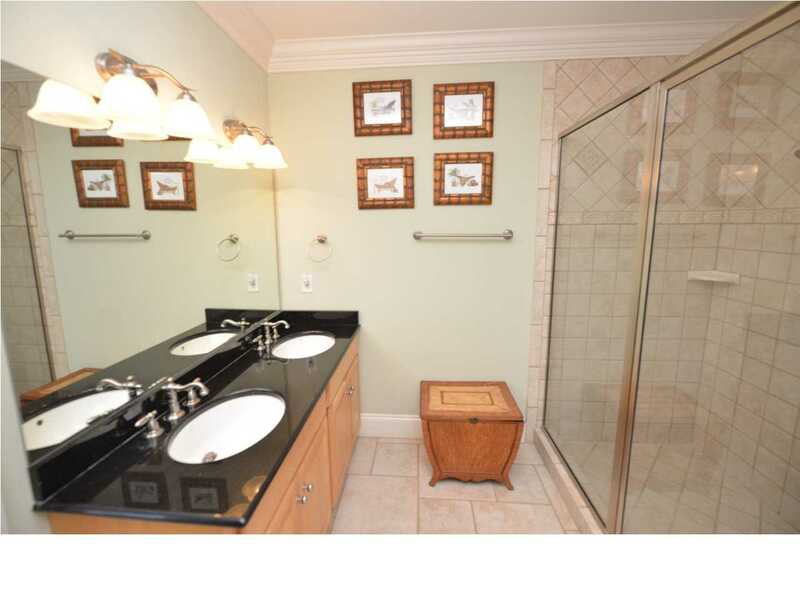 The first level features 3 bedrooms (2 overlook the Gulf), each with their own bath. 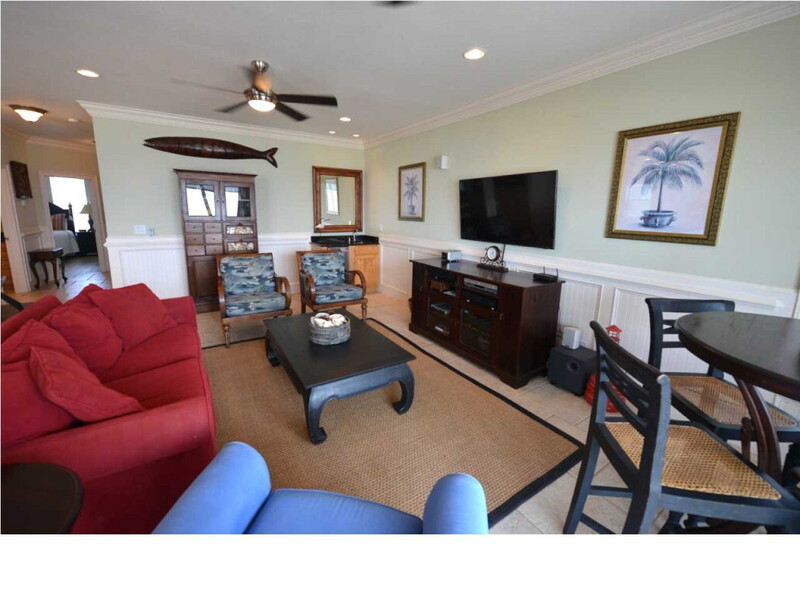 The open floor plan on the main living level features a well-appointed kitchen, living room and dining area, all opening on to a deck overlooking the private pool and pristine beaches. 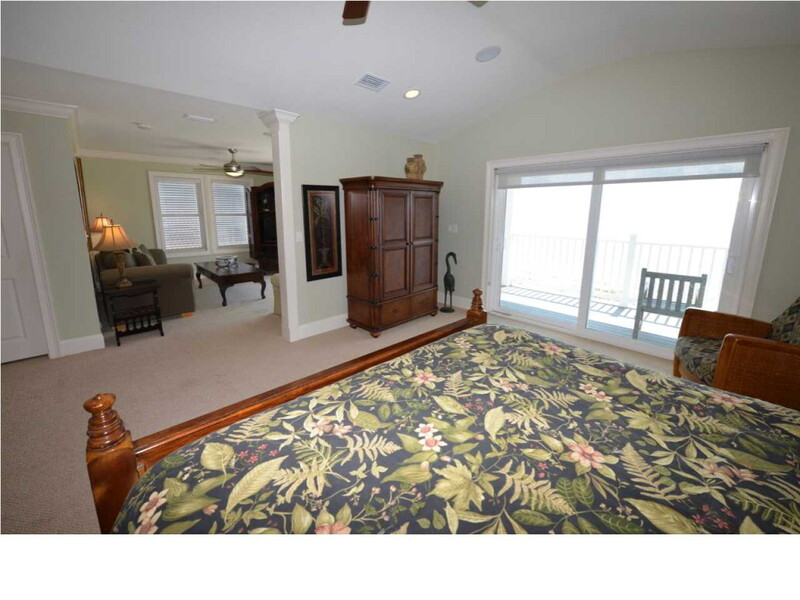 The large master suite on the top level has an en suite bathroom, separate living/TV area, and wet bar all opening up to both a covered and open deck area. 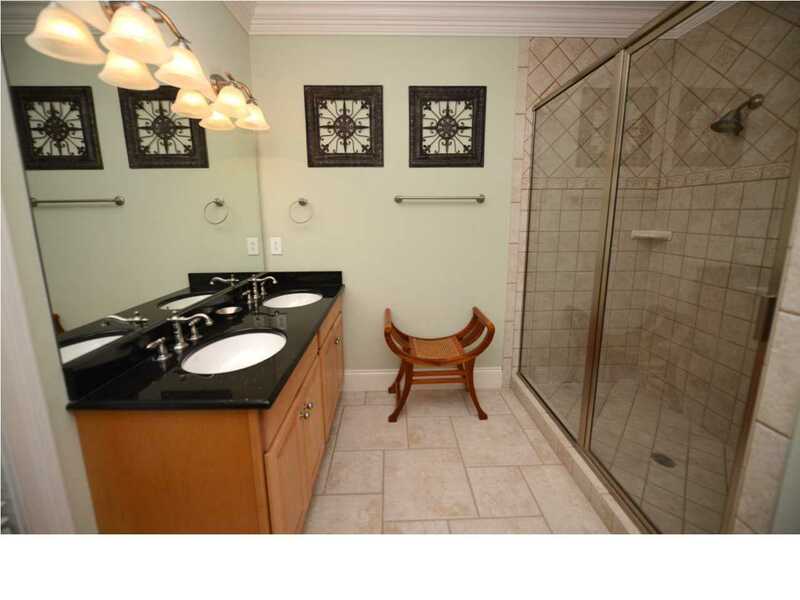 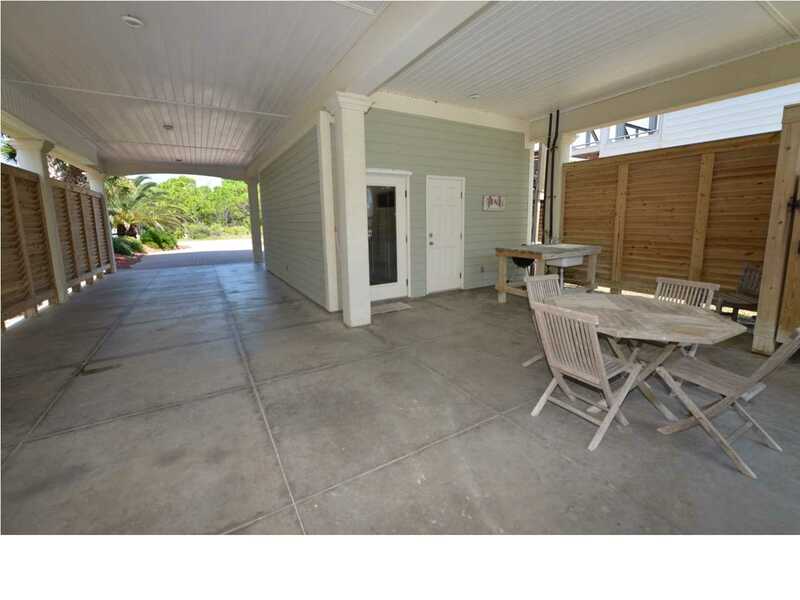 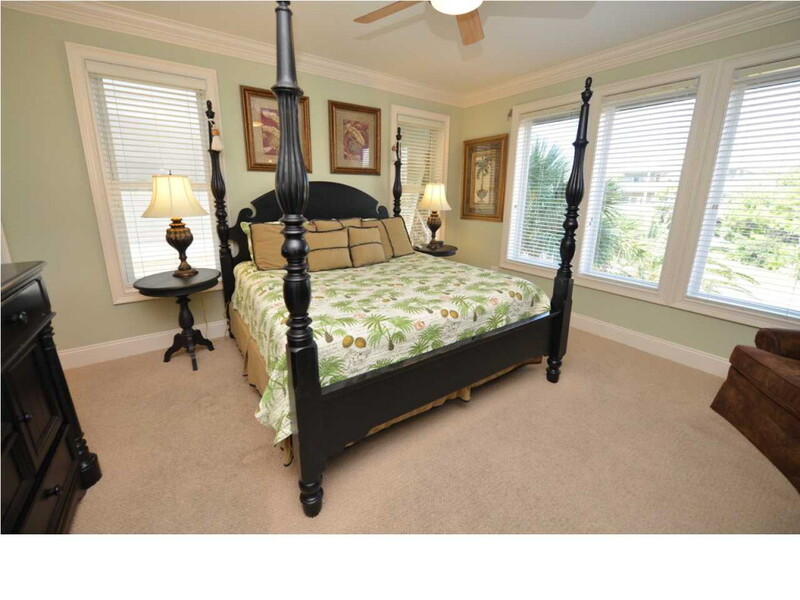 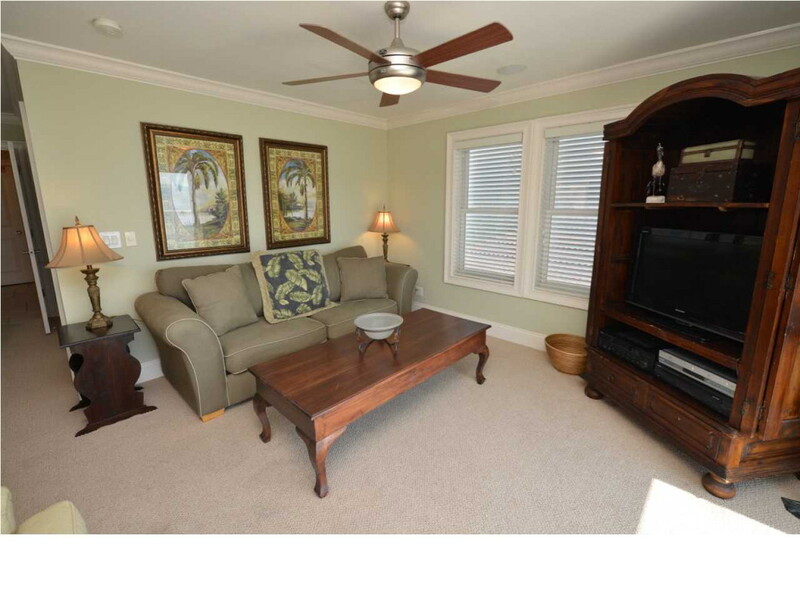 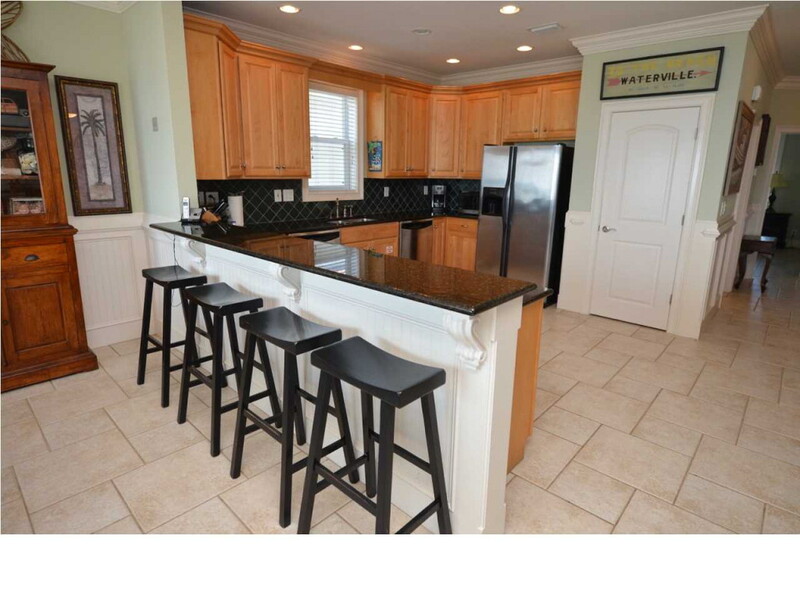 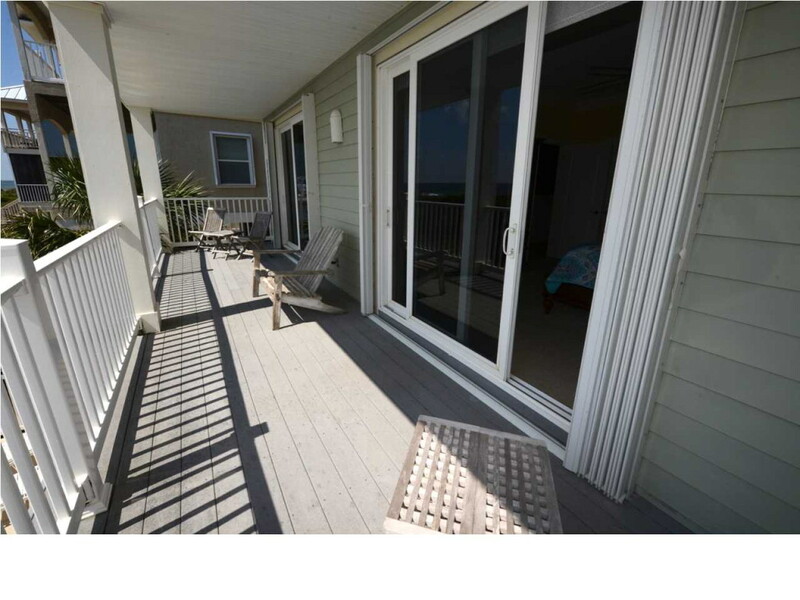 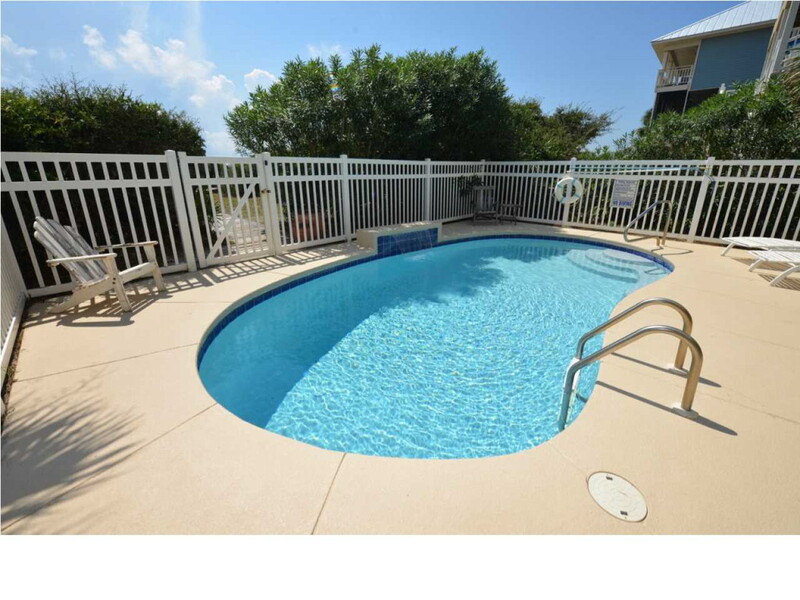 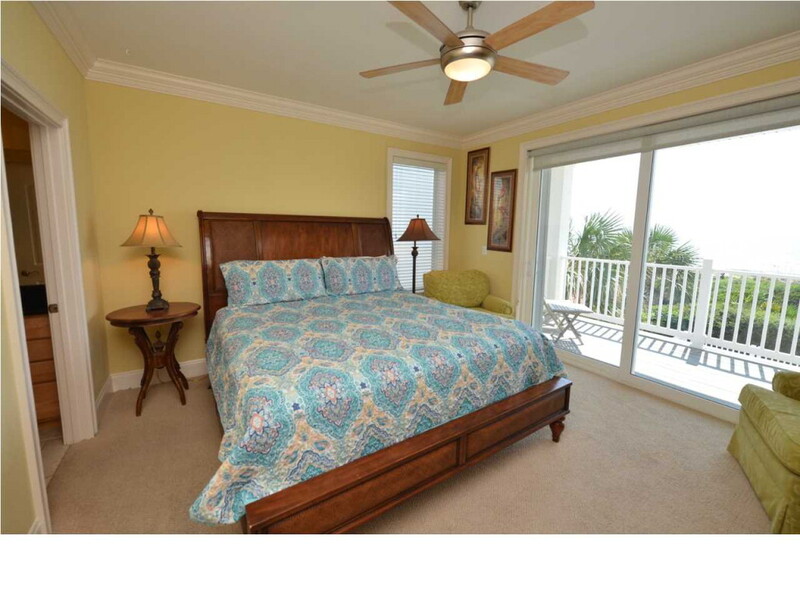 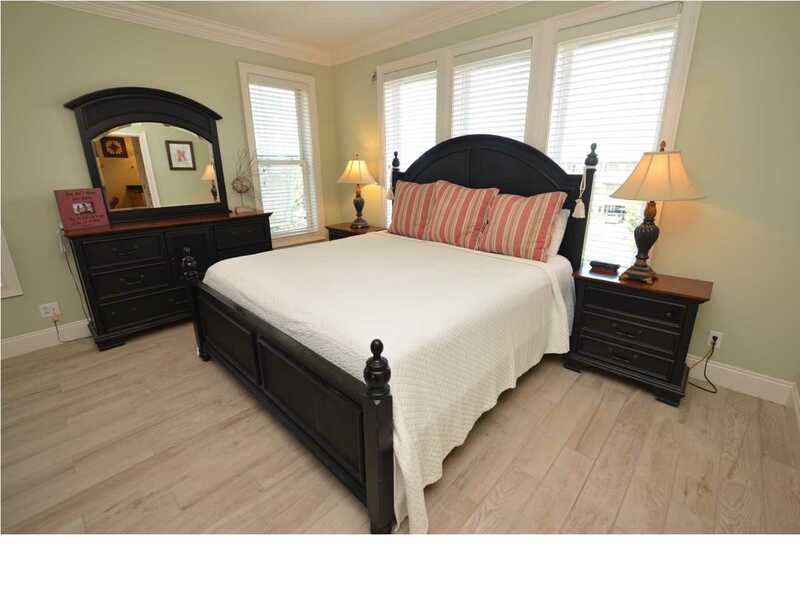 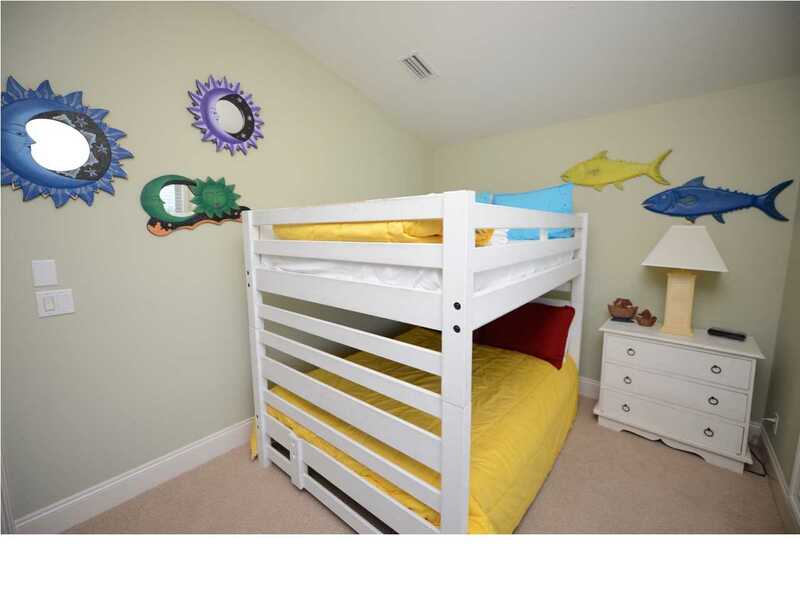 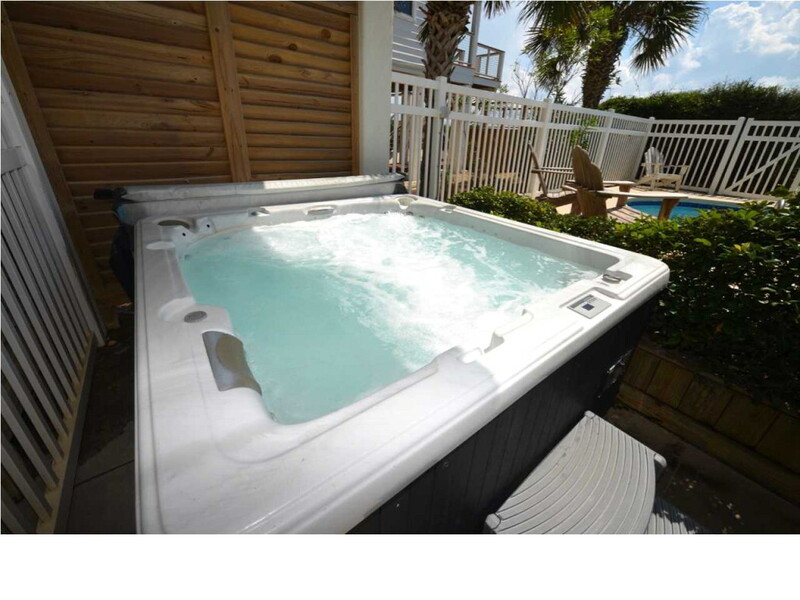 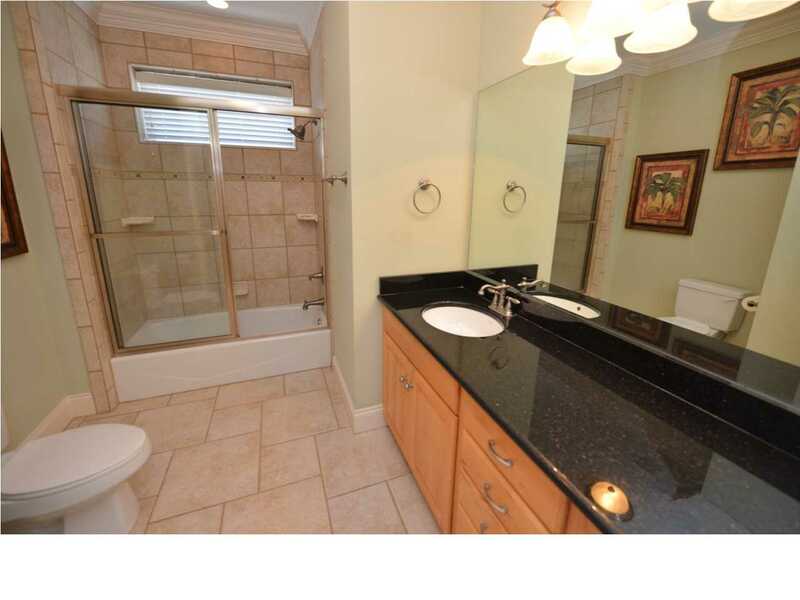 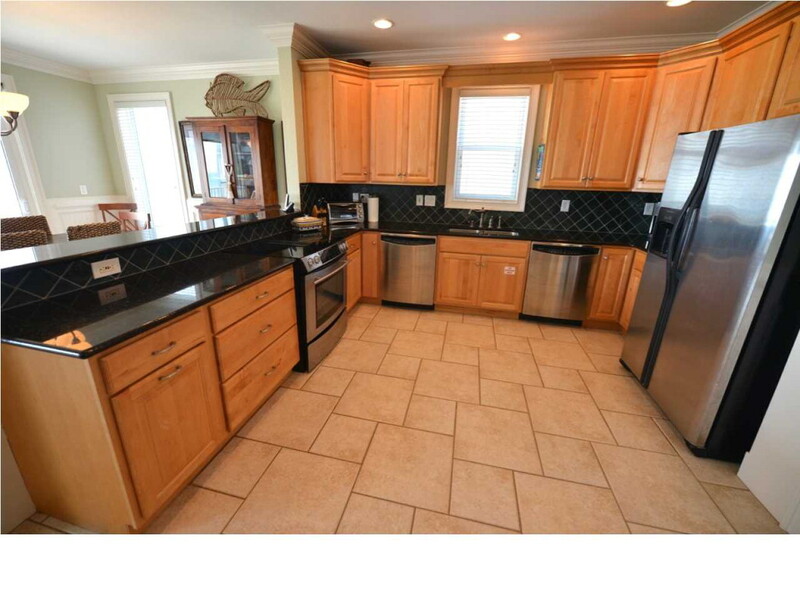 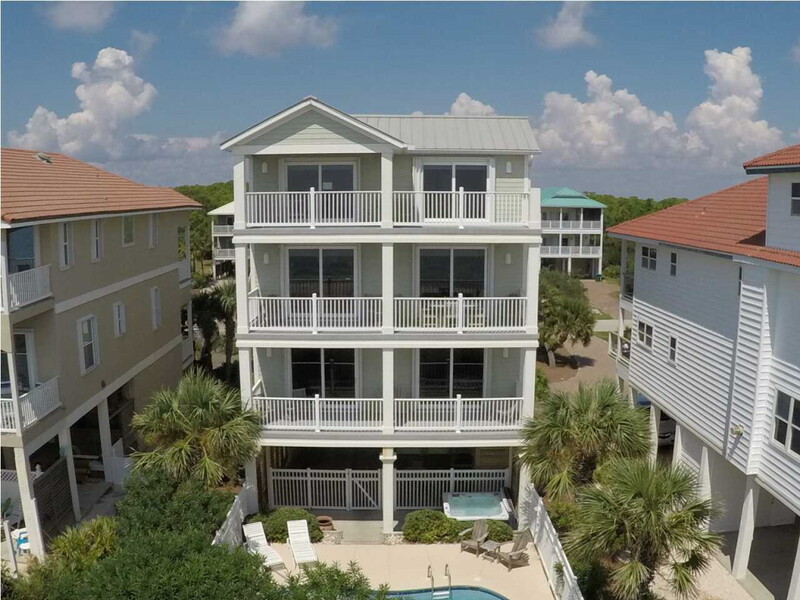 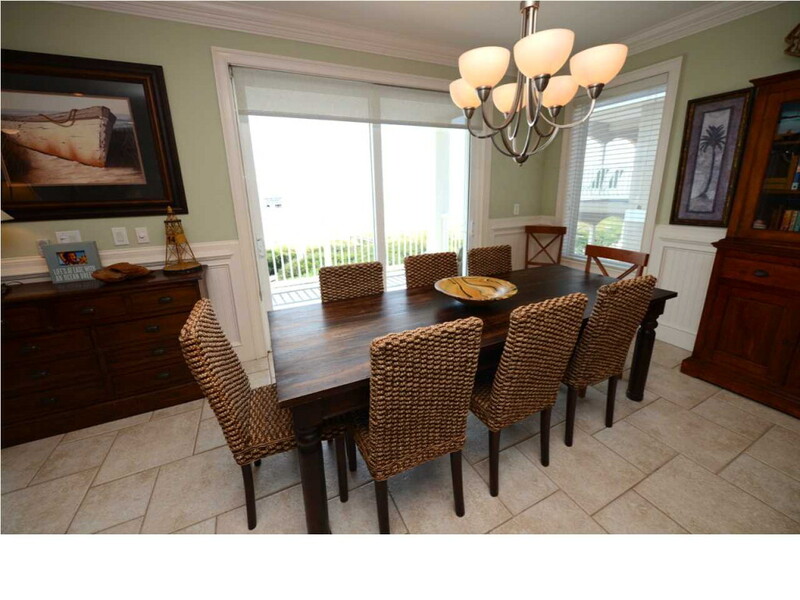 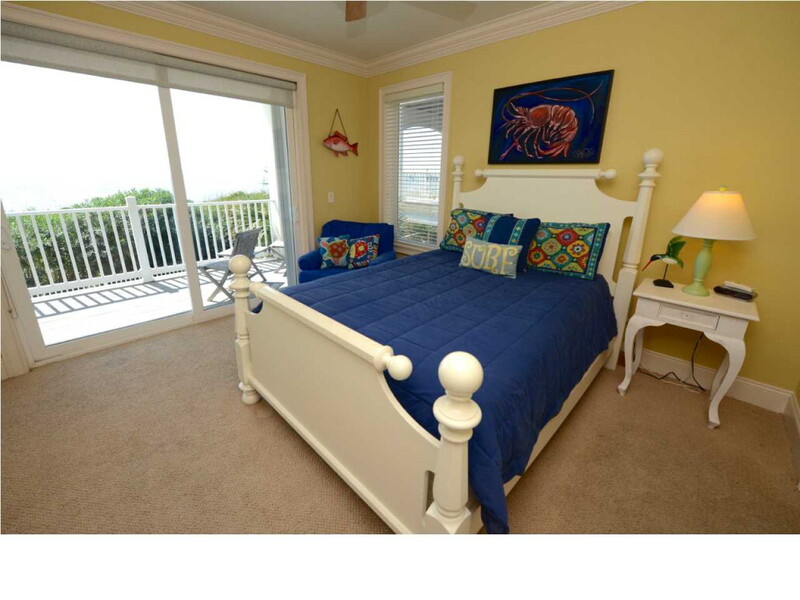 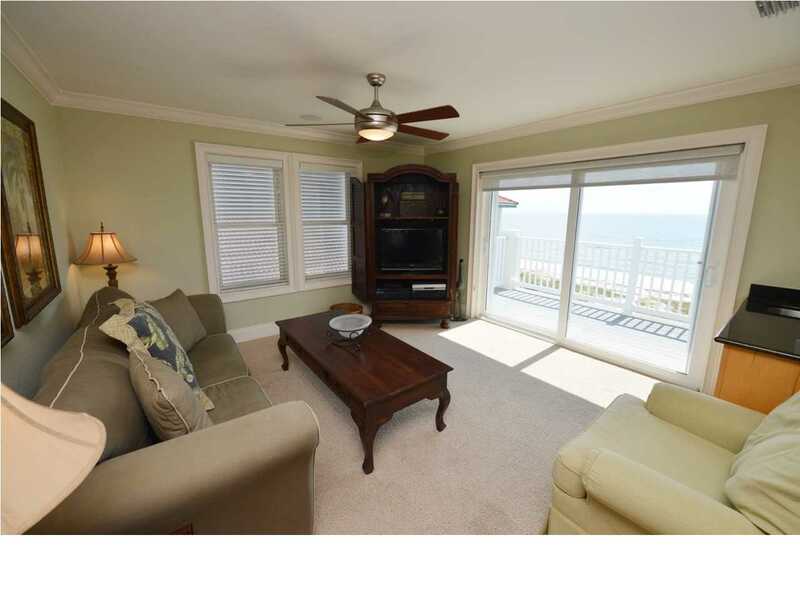 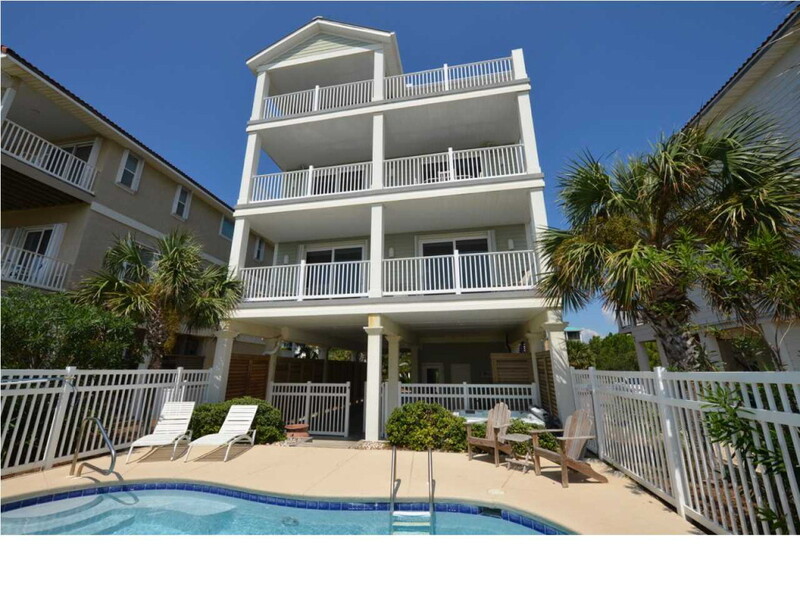 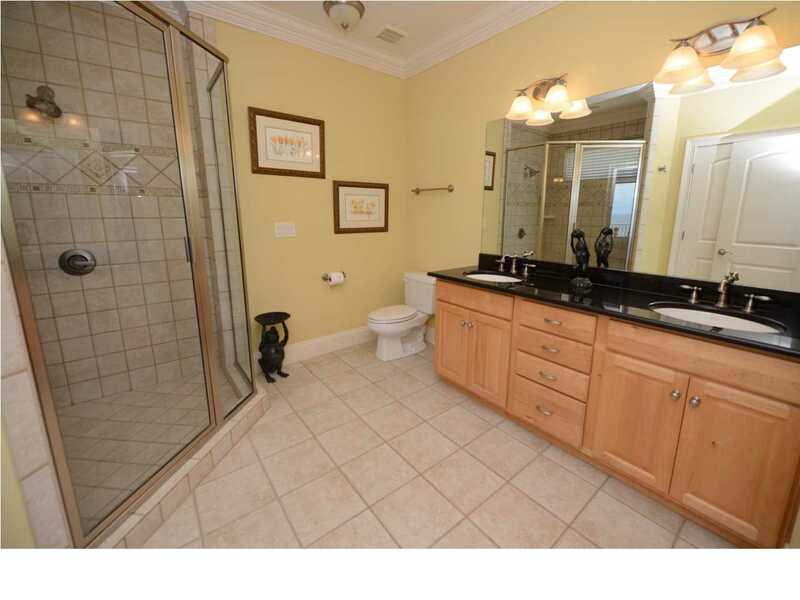 Tiled floors, pavered driveway, hurricane shutters, a 4 stop ELEVATOR, hot tub and more! 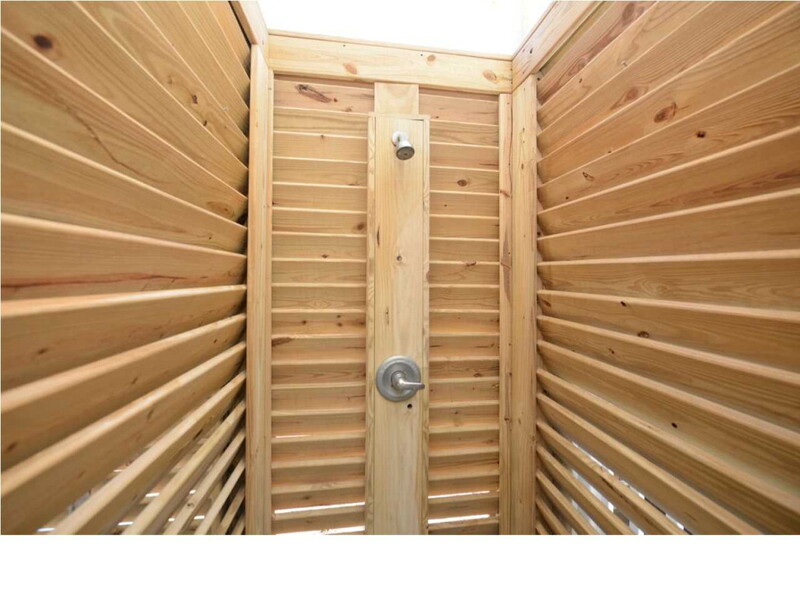 Community has 24 hour security. 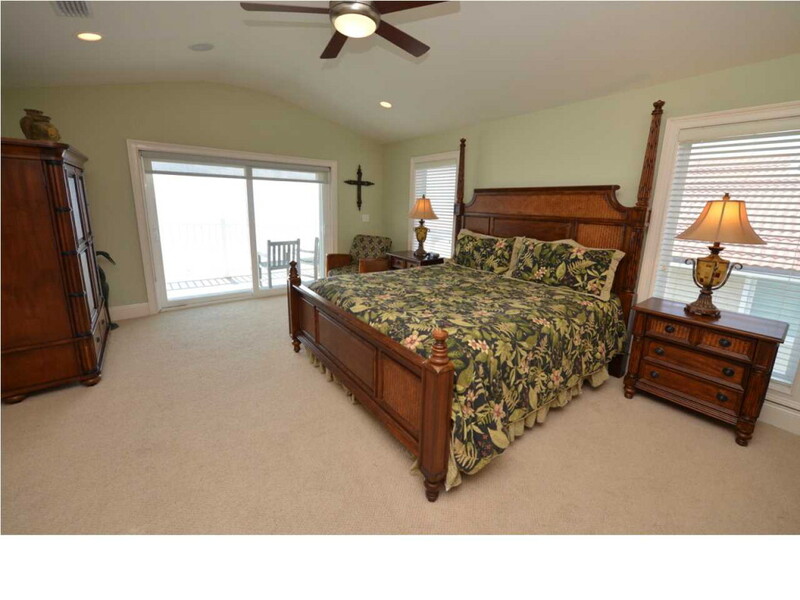 Just minutes from Bob Sikes Cut and great fishing!